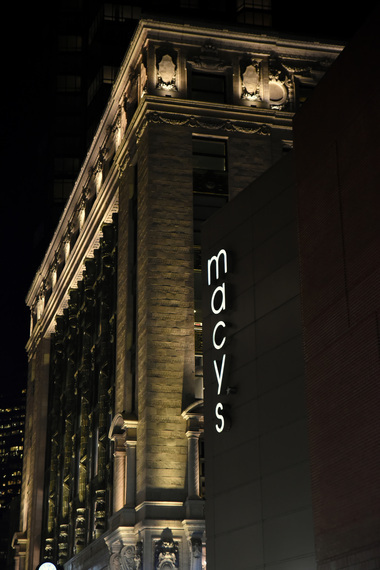 Macy's just announced that it plans to close 100 more stores. They join a chorus of retailers that have determined that store real estate is more valuable than the business prospects at many of their locations. There are numerous reasons why store chains are closing locations. Seven of the more important ones are provided below. Internet. The Internet is increasingly becoming a disruptive force for bricks and mortar (B&M) stores. The reason is that for many people, the buying of non-perishable products online is more convenient. Buyers can order products wherever they have access to the Internet. Good marketers understand that distribution is the convenience function. Unless bricks and mortar stores can provide something buyers cannot find online, it will be hard for them to compete with the convenience of the Internet. Traffic and parking. With the insane volume of traffic is so many major metro areas, such as Los Angeles, too many would rather get a root canal than hop in their car, drive to a store, find a parking place, and navigate their way through the aisles looking for the items they want. Price competition. Many online stores can provide lower prices because they do not have the overhead of their B&M rivals. Some even have virtual inventories where they show products online and have their suppliers drop ship them to the buyer. Rather than create and market their added value, too many B&M stores try to price compete with online resellers. Because of the high cost of convenient retail space, that is a game they are destined to lose. What makes matters even worse for B&M stores is the practice of "showrooming" where buyers will go into a store, touch and feel the merchandise, waste sales people's time asking questions, and purchase the product online at a lower price. Aging stores. In simpler times, many stores looked good, smelled good, and had helpful sales people that could answer product questions and give advice to buyers. Rather than reinforce this advantage, too many retailers are letting their locations get worn and run down and they are not hiring the people they need to give buyers a good in-store experience. Why? They feel they need to compete on price. To do that and still make money, they cannot afford to hire better people or pay for the upkeep of their stores. Therefore, they lose an important added value advantage, which only serves to strengthen their online competitors. Fewer and less-qualified people. Stores are not only hiring less talented inadequately trained salespeople, they are hiring fewer people to service customers. As they try to compete with online stores B&M stores are cutting staff and paying the survivors less. Any good marketer knows that happy employees make for happy customers. Poorly trained low paid workers do not exude the happiness required to keep buyers coming to stores. Cost cutting extends to promotion. As store chains cut costs to price compete with online rivals, they cut promotional budgets needed to bring people into the stores. If buyers are not informed of new merchandise or special sales, what will bring them into the stores? Busy or lazy. To make ends meet, buyers are too busy working hard to invest the time required to visit physical stores. Those that are not too busy are too often lazy. The busy ones that seek to relax when not working don't want the hassles enumerated above when they are off duty. Since humans started transacting business, buyers and sellers have been looking to cut out the middle people to save money and sell more. This is to be expected. Resellers that have not succeeded in proving their added value have gone out of business. An example is travel agents. What too many forget, however, is that if you cut out the middle people, you still have to provide their function. That is a fundamental rule of distribution. Unless you are selling digital products that can be distributed over the Internet, if you bypass the middle people, you have to acquire (or pay someone else for) warehouses and you have to provide the convenience to the end buyer. There is another important issue that is often forgotten when companies consider eliminating middle people. When you bypass them, you also eliminate the benefits of their locations, marketing, and sales efforts. That is, distributors and dealers have their own locations and sales people, and they spend money on marketing. If you cut them out, you also lose their locations, sales people, and marketing efforts. You cut convenience for yourself and the end buyers. The key to surviving and thriving in the face of external disruptive forces such as the Internet, increasing traffic, and energy costs, is to understand and prove your added value. The following steps are what physical stores need to do. Find out what your audience wants that they are not getting. Step one of every good marketing place is to start with your target audience. What do they want that they are not getting from competitive alternatives? To figure this out, companies need to develop an always-on marketing information system to continuously collect marketplace data and make the necessary adjustments. Be willing to make the changes necessary to give it to them. Too many stores are in the habit of doing what they always did to become successful in the past. They need to understand that things change, and when they do, they need to make adjustments or more appealing alternatives can take away their customers. Understand the advantages of physical stores. Stores are locations where customers can browse, touch and feel the merchandise, try it on, measure the size of items, and enjoy the experience. Rather than compete with online stores on price, stores should give customers a better experience - helpful salespeople, good looking and smelling stores, neatly arranged merchandise, beacons to facilitate finding items quickly, and in-store services that customers cannot find online. Re-invent your brand. So that buyers understand the added-value your stores provide, a well designed and orchestrated brand is the necessary first step. The focus should not be on price since online retailers usually have that advantage. It should be on value, entertainment, and in-store experience. When you cannot compete on price you focus on return-on-investment. Deliver on the brand promise. Once stores have the right brand architecture, the store experience has to deliver on the added value promised by the brand, and successfully communicate their added value in all forms of promotion. Being successful in business is rarely easy. However, it is much easier than closing stores, laying off employees, and losing money. There are many good examples of stores that understand their added value and are thriving in spite of the obstacles discussed above. A post in Forbes by Phil Wahba provides information on the 10 most successful malls in the US. Please notice that #2 on the list is The Grove located in one of the most competitive and traffic congested locations in the US - the middle of Los Angeles. Retail stores can be successful despite disruptions caused by the Internet and mobile technology. Many people will always like the social interaction and comfort of checking out the products in person, asking questions of knowledgeable sales people, and making sure the products fit their needs. As with all methods of distribution, a new one may come along that renders the old way of doing business less desirable or obsolete. If and when that happens, you have to re-invent your added value or competitive advantage in ways that the new methods cannot duplicate. Entertainment. Provide a showcase where local entertainment can perform. You have a physical place of business. Use it in ways that your competitors on the Internet cannot. Make an interactive person-to-person environment. Speakers. Invite designers and inventors to talk about the benefits and advantages of their products. Demonstrations. Show people the various ways they can use your products. For food items, invite chefs to hand out samples, provide recipes, and demonstrate cooking techniques. Ambiance. Create a space that looks, smells, and sounds good the way stores were in the "old days" before they made the mistake of price competing with discounters and the Internet. Logistics. Form alliances with various transportation options that can safely bring shoppers to your space and take them back home. Touch and feel. Provide an environment where shoppers can touch, feel, try on, and properly size the products you sell. Human assistance. Hire a competent staff that can answer questions and help buyers to buy the products. This can be done with the right combination of people and technology. Making changes to your business is rarely easy, but in the ever-changing environment in which we live, it is those that are willing and able to make the changes necessary that will most likely survive and thrive into the future. Best of luck.